Home > Knowledge Center > What is Lawn Paint? Natural grass lawns require quite a bit of maintenance and water to keep them looking their best. When all else fails, homeowners are now turning to commercial products to enhance the color of less-than-perfect lawns, particularly the ever-growing number of brown lawns resulting from California’s droughts and water restrictions. Lawn paint is widely available and has been keeping golf courses green for years, but now that homeowners have caught wind of this easy fix, residential use is on the rise. Grass paint is a green paint product for use on lawns and other grassy areas. It is generally used to enhance the color of natural lawns or cover brown spots. It is readily available at garden centers and nurseries and can be applied by landscapers or homeowners. Lawn paints are most often made with non-toxic ingredients and come in a concentrate that you mix with water in a garden sprayer. Grass paints are not new on the market, but many homeowners only began hearing about them within the last few years. While they have been used on golf courses, sports fields and similar grass areas for many years, it is California’s ongoing drought issues and water restrictions that have recently increased residential use of lawn painting products. Some homeowners use grass paint to cover brown spots where their pets frequently urinate, others use it to keep their lawns green while they are dormant in the winter, some paint bare or dead spots to fill in their lawns, and others paint lawns that have partially or completely died from lack of water. One of the most popular reasons to use grass paint is to keep lawns looking green while the homeowners save water through reduced irrigation. If you live in California, your landscaper probably has experience painting lawns and can complete this task for you for a few hundred dollars. The price, of course, will depend on the size of your lawn, but you can save money by taking on this relatively easy task yourself. The biggest concern is getting the paint on nearby hardscapes, which it will discolor, so prep work is imperative. If you plan on painting your lawn yourself, you should follow the instructions provided with the product that you purchase. 1. Choose a sunny day when rain is not expected and there is no wind. 2. Mow your lawn and make sure it is dry. 3. Use plastic sheeting, tarps or drop cloths and painter’s tape to cover plants, driveways, walkways, fences, other ground covers, and anything else you do not want to paint. 4. Mix the grass paint concentrate with water in a garden sprayer. 5. If the wand on the garden sprayer is adjustable, set it to spray a fine mist. 6. Test the color in an inconspicuous spot to make sure it looks natural and is the color you want. You may need to add more paint or more water to adjust the color. 7. Once you have achieved the desired color, spray paint your lawn with circular or back-and-forth motions to help ensure even coverage. More than one coat may be necessary to achieve the desired look. 8. Allow the paint to dry completely before irrigating nearby plants, walking on your grass, or allowing your pets or children on the lawn. How Long Does Lawn Paint Last? Once the paint is dry, a quality product will not experience the color running, but there are many factors that will determine how long your grass paint will last before it is time to paint it again. Depending on the condition of your grass, the type of grass you have, the weather, how often you mow your lawn and related factors, you can generally expect lawn paint to last anywhere between one and six months. Most last between two and three months. Is Lawn Paint Safe for Kids and Pets? Most grass painting products are made from non-toxic, biodegradable ingredients that are considered safe for human and animal contact once they are dry. If your landscaper is painting your lawn, make sure he or she uses a non-toxic grass paint. If this is a DIY project, check the label to confirm there are not harmful chemicals or safety concerns. Is Lawn Paint Safe for the Environment? 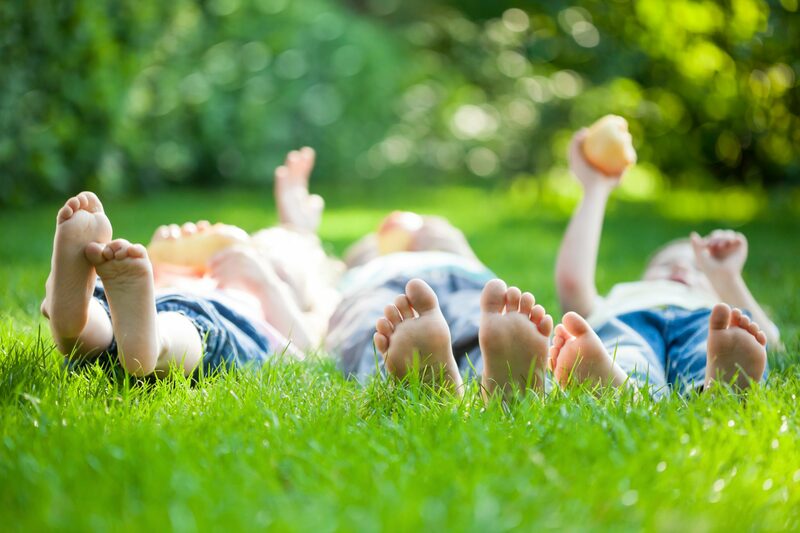 As long as you choose one of the non-toxic, biodegradable grass paints on the market, you can feel better about painting your lawn knowing that these products are considered safe for watersheds, soil and the environment. Keep in mind that grass paint works better on dormant grass than on dead grass. 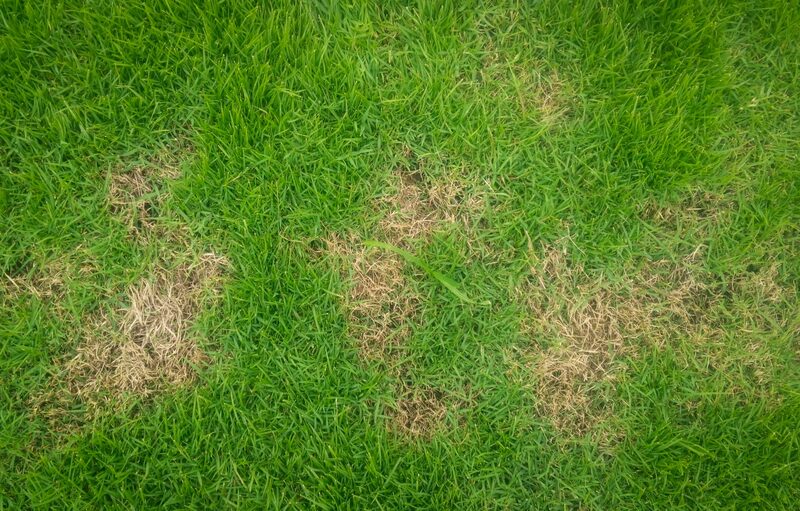 Dead grass is going to continue to degrade, so you can extend your lawn’s visual appeal for a while, but a dead lawn will still eventually need to be removed or replaced. You will need to continue to water your lawn to keep it alive. This means that you can save water by using grass paint to keep your lawn green while cutting back on irrigation, but you cannot stop watering your natural lawn completely. Of course, if you want to stop watering your grass completely without sacrificing the look or function of your lawn, there are other options. Replace your natural grass lawn with artificial grass and you will never again worry about brown spots, brown grass, mowing, watering, aerating or fertilizing. Synthetic turf provides the look, feel and function of natural grass but is a low-water, low-maintenance, drought-friendly option that will never go dormant, die or get those annoying brown spots in pet restroom areas. If you are ready to put down the spray paint and the garden hose and spend your time enjoying your lawn instead of maintaining it, speak to one of our design consultants today to get your free design consultation and estimate.